Aside from being a nail junkie, I am a big sucker when it comes to lipsticks, lip gloss, lip balms or any lip related products really! So whilst I was on a mission to find my mother the perfect lip colour for mothers day I couldn’t help but pick myself up a new lippie on the way! 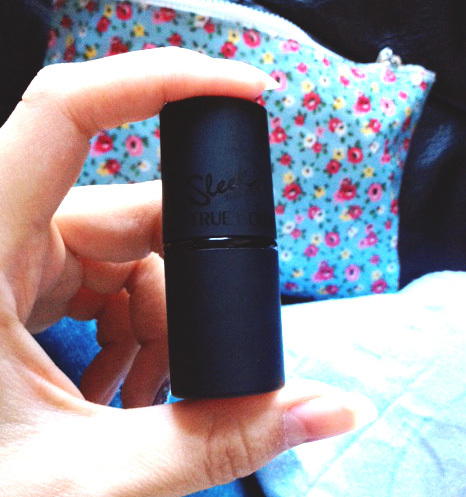 I came across the True Colour Lipstick by Sleek Makeup, I was drawn to the cute little packaging at first, its a very compact and chic looking case with a velvety finish. I think there were around about 20 colours in a mix of Shine and Matte finishes. 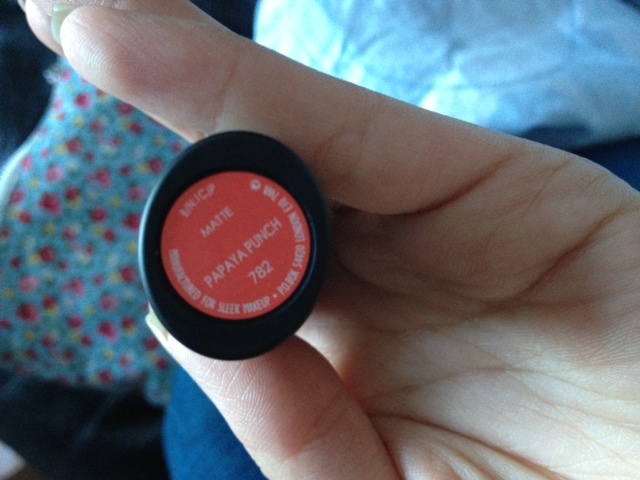 I picked up the Matte finish one in 782 Papaya Punch because I’ve been looking for a bold lipstick that is both bright but wearable at the same time. 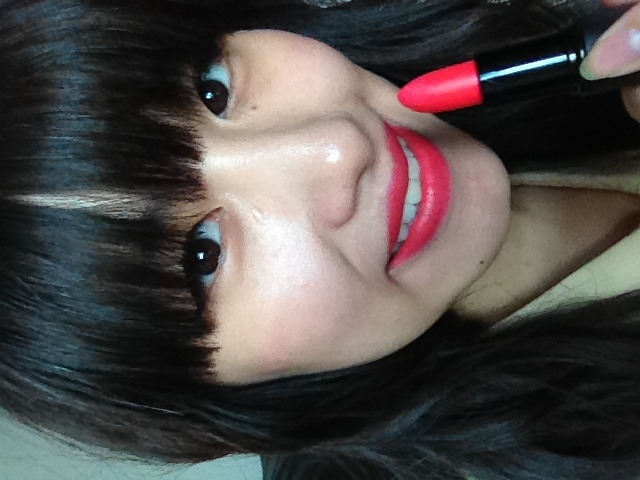 This one is bright tangerine red but it also has a pinky tone which makes it very flattering on most skin tones. 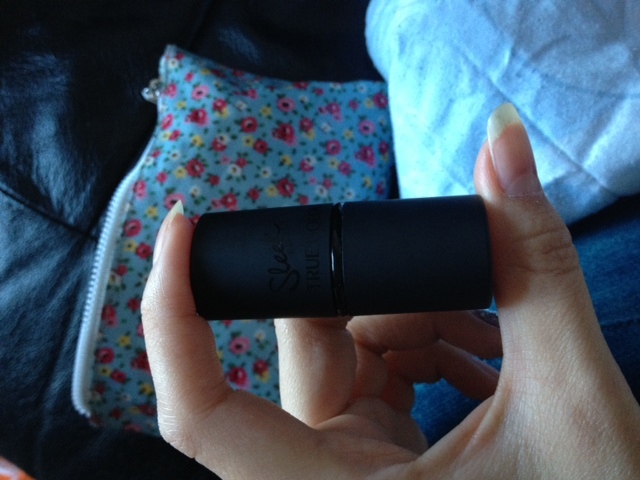 So, I’m going to rate the lipstick from 1-10 on Packaging, Pigmentation, Application and Overall finish, so here goes…. As I mentioned above already I love the packaging, and was immediately drawn to its sleek casing. I love that its so small and compact plus it feels silky smooth and the tiny detail of the branding on the case is super cute. The colour of the lipstick is written clearly on the bottom and it tells you aswell whether its a shine or matte finish.. Perfect! I definitely give the packaging 10/10. I am really impressed by the colour give off of this lipstick I guess thats why they’ve called it True Colour? :) The colour comes off exactly like it is in the tube as you can hopefully see in the photos below. The colour is highly pigmented and comes off pretty bright in just one coat :)I would give it 10/10 on pigmentation and colour pay off! Although the colour is lovely, I did have a battle with it when it came down to applying, because it’s a matte finish it tended to drag on the lips a little bit, making it quite difficult to get a good finish. Its nothing majorly off putting and I’m sure you wont have this issue with the shine finish ones, but I would arm yourself with some tissues and use lip liner to ensure you don’t go outside lines with the mattes! I would give the ease of application a 7/10. 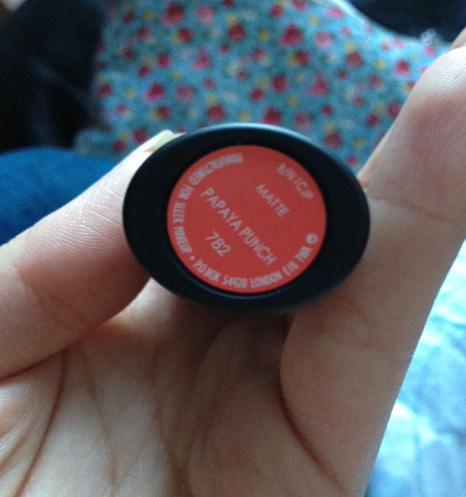 Tags: 782, Gloss, Lip gloss, lip liner, lipstick, Papaya Punch, Pigment, Sleek Makeup True Colour Lipstick, Swatch. Bookmark the permalink.